In her fifty-eighth bestselling novel, Danielle Steel tells the breathtaking story of a mother’s love and a son’s gift, of the tragedy that nearly destroyed a family…and the miracle that saved them. With a word or a smile, seventeen-year-old Johnny Peterson could light up a room, fill his mother’s heart with pride, and inspire the best in those around him. A star athlete and class valedictorian, tall, lanky Johnny had a future filled with promise–until he stepped into a car on prom night, dazzling in his rented tux, and in an instant, it was all taken away. In the months that follow, Johnny’s family and high school sweetheart, Becky, struggle to put together the pieces of their shattered lives. No one is more devastated than Johnny’s mother, Alice, whose oldest son owned her heart from the day he was born. But amid the heartache, something miraculous is about to happen to the Peterson family, something that will alter the course of each of their lives. When a sudden illness sends Alice to the hospital, a glorious vision comes to her in her dreams. There, standing before her, is Johnny himself, with that familiar twinkle in his eye, gently urging his bewildered mother to be strong for her splintered family. For Alice, seeing her marvelous lost boy is a miracle she can’t quite believe but is more than willing to embrace. 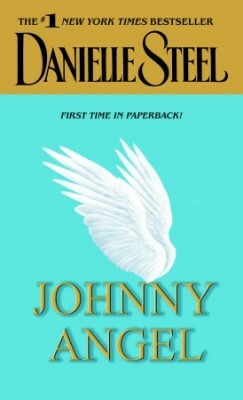 In the weeks to come, Johnny will appear in the most unlikely places, visible only to the two people who need him most: his nine-year-old brother, locked in a silent world, whose special needs Johnny always seemed to understand…and his mother, who has always nurtured her family, but who now needs a guardian angel of her own. Through a season of hope and healing, Johnny will walk by his mother’s side, leaving miracles in his wake, leading his parents, his girlfriend, his sister, and his brother out of their grief. But as Alice is about to discover, Johnny has returned not just to help those he loves, but to uncover a purpose even he cannot comprehend–one that will change them all forever. An unforgettable story of loving and letting go, of mixed blessings and second chances, Johnny Angel is a celebration of life, hope, and forgiveness. It will make you laugh and cry…and hold your loved ones just a little bit closer.